Connie's World Adventure! 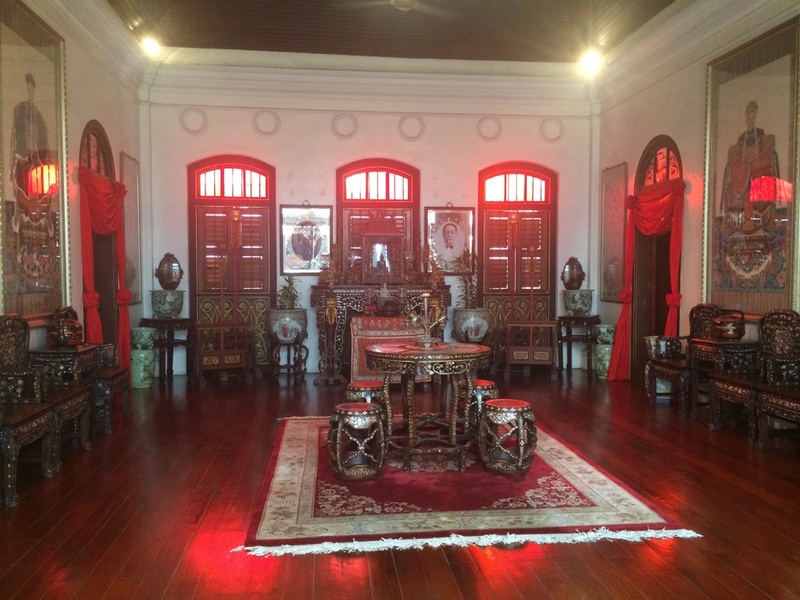 : Penang, Malaysia, Pt. 1: The HAAAAAZE. And The People You Meet. Penang, Malaysia, Pt. 1: The HAAAAAZE. And The People You Meet. This has been the color of the sky multiple days in a row. Where is the sun? Is the sun up? It's a mystery. 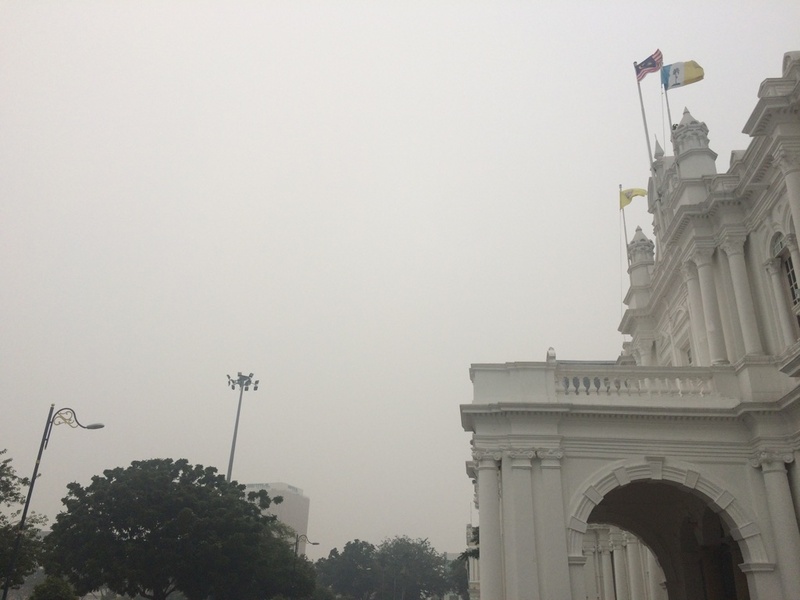 The haze is currently out of control. I've been learning so much more about it because it's a huge deal right now. To get more in-depth (in addition to what I've touched on before) - every year, people in Indonesia illegally burn their forests to clear them for agriculture. 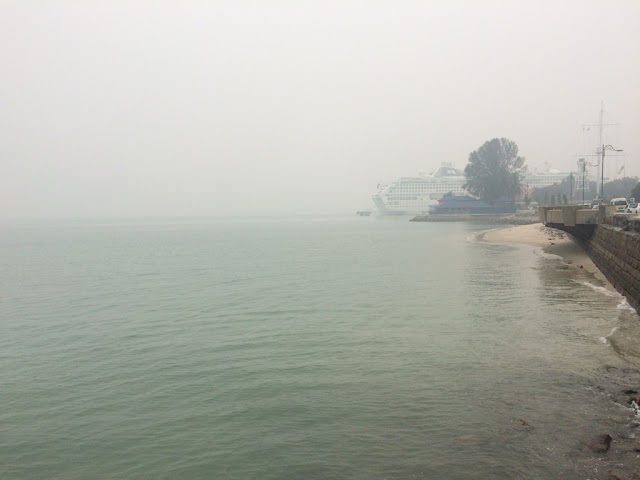 And not only does this have terrible effects on the environment, but the resulting smoke and haze pollutes the air and drifts up to Singapore, Guam and Malaysia. This year, for some reason, has been especially bad. A lot of these fires have burned totally out of control and the Indonesian government doesn't have the means to deal with it. In fact, this has been the worst air-quality, high-haze year since the 90's. 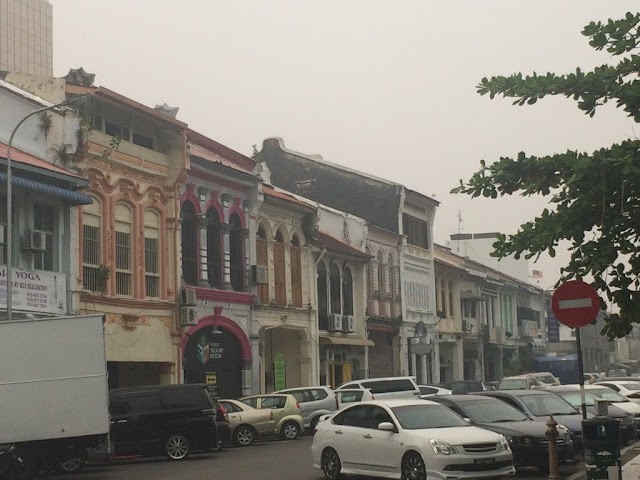 There have been multiple school closures in parts of Malaysia, and the amount of greenhouse gases in the air exceed the entire output of the U.S. This means being outside is like breathing in a fog of thick, cancerous smog. You can't see very far. 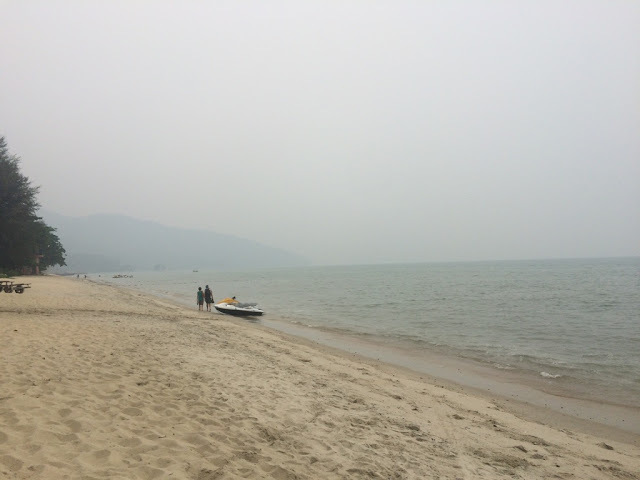 It's been days since I've seen the sun because the haze is so thick, and none of Malaysia's gorgeous islands are accessible because it's all smoke and haze - it's impacted every traveler I've talked to in some way. Looking out onto the ocean. Thumbs down. Including me. 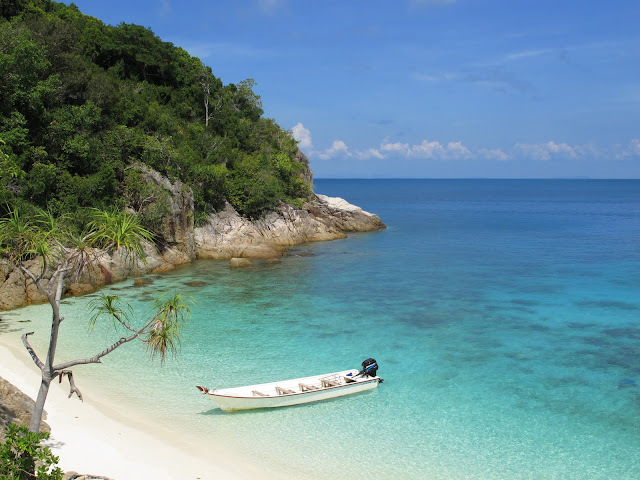 I had initially had grand plans of going out to the Perhentian Islands next - these gorgeous, totally remote islands off the east coast of Malaysia. They're so remote that the electricity shuts off for certain periods, and much of the islands are totally unspoilt (though tourism is growing). The Perhentian Islands. Are you dying?!!? I'm dying. Anyways, here I was, happily about to book my plane ticket to the islands - and thank god I was yammering away about my plans, because my hostel roomie goes "WAIT STOP." Apparently the islands are closed. Not only will they likely be covered in haze and will therefore look nothing like the photo above, but the dive shops all closed early this year. Cries. Time to rearrange the plans (perfect when you have nothing booked!). But anyhow, back to present day. Circling back around to the haze, I've spent the past couple days lying low in the adorable city of Penang, in the super Northwest of Malaysia. 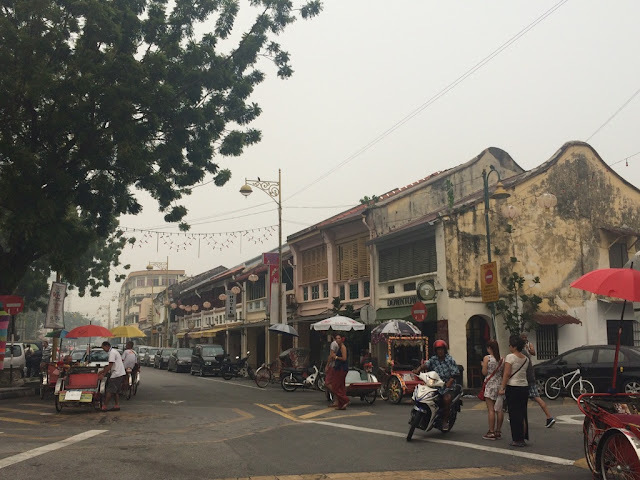 Penang is a large island and the largest city is called Georgetown - it's a city on the coast mixed with tons of British influence, multiple ethnic contributions, and a funky vibe. It's known for being a foodie paradise - it has a delicious variety of both restaurants and street eats, and a crazy blend of old-world and new (historic British buildings sit next to big tall modern ones, etc.). There's also beaches on the island - not Malaysia's best, but pretty enough. But let's not talk about that in the haze. 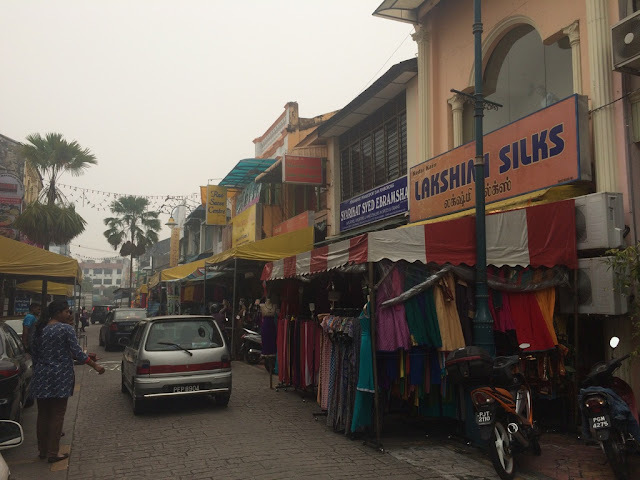 Kat and I went our separate ways from the Cameron Highlands - she headed off to Bali, while I took a 5-hour bus up North to Penang. 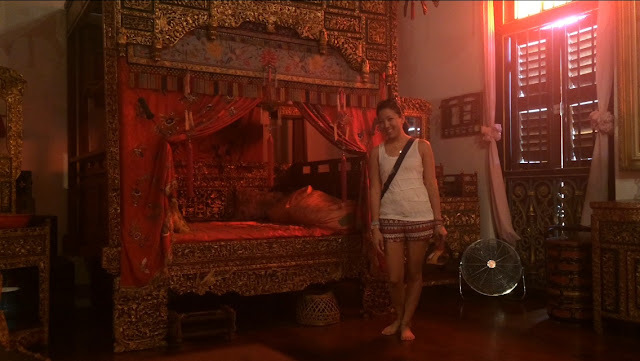 Upon arrival in Penang, I checked into my hostel and met a new hostel roomie, Joanna - from Canada, but living in Thailand. 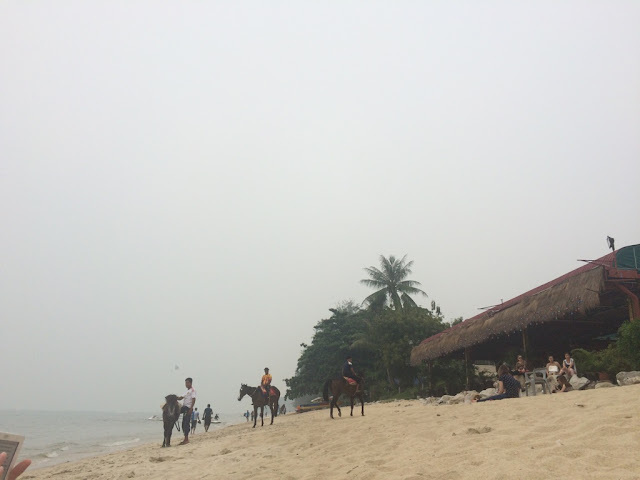 She was headed out to Penang's closest beach, Batu Ferringhi, so I tagged along. We took the world's coldest public bus for the 30-minute ride. Ferringhi Beach, which was surprisingly empty. Maybe due to the cancer in the air. 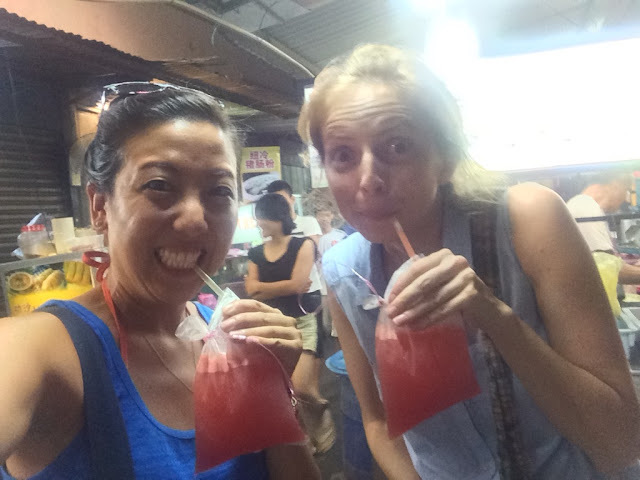 Went to the Night Market nearby after the beach, eating street food and strolling around on an ice-cream hunt. 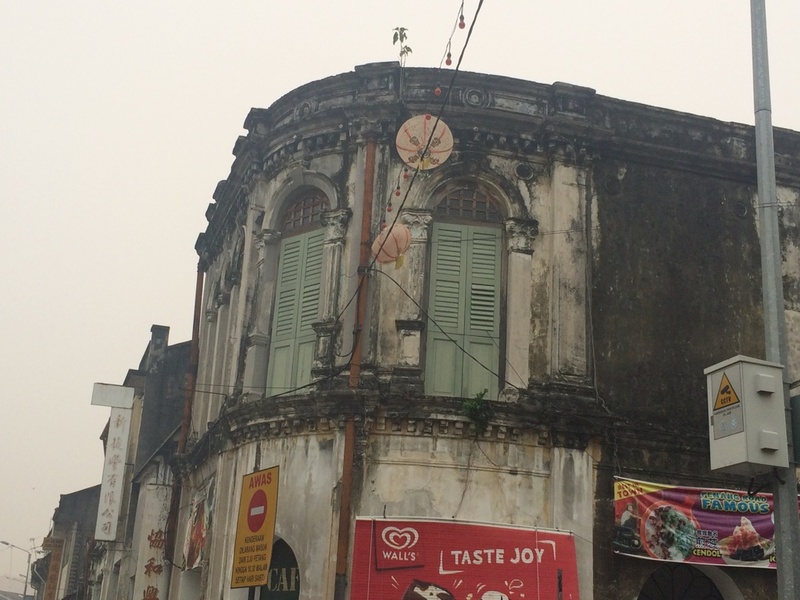 Next day, I took myself on the Lonely Planet's suggested historical walking tour of Penang. It was actually lovely! 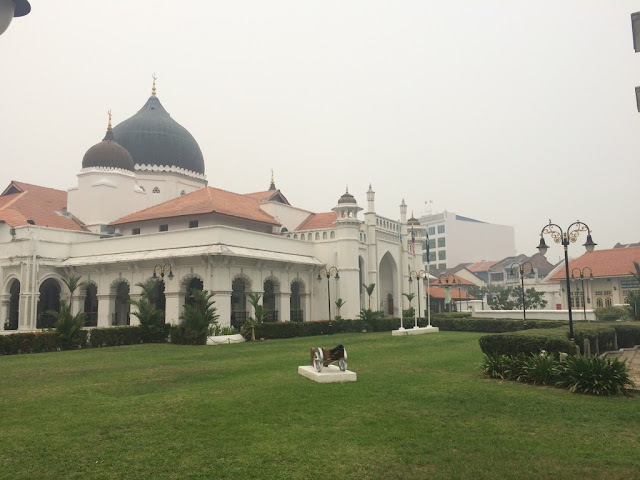 I did a bunch of things I normally wouldn't - went to the National Museum, toured a baller Pernakan mansion (the ethnic group derived from Chinese/Malay intermarriage), walked through Little India (henna! Henna everywhere! ), and visited a bunch of temples while snacking on coconuts/popsicles/watermelon/anything I could find off street stands. The very British colonial looking Town Hall. 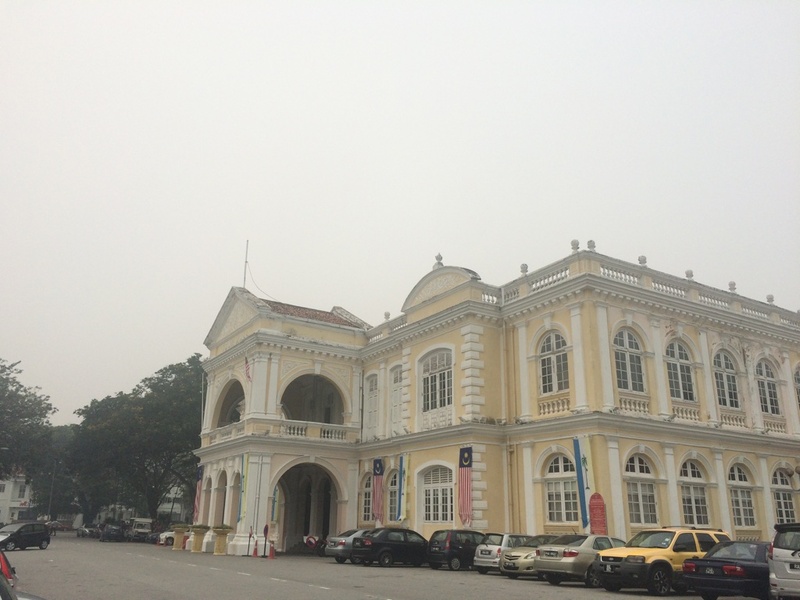 There was a huge British contingent in Penang (all the streets have super Brit-sounding names, like Scott St.) until WWII, when they all fled. 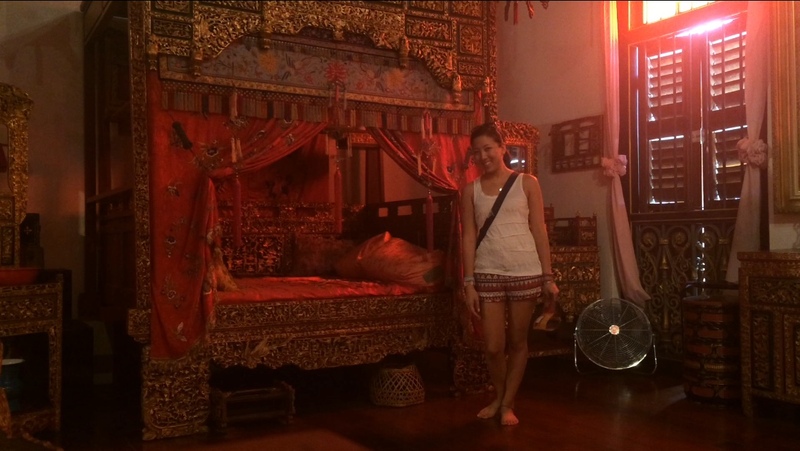 This was the super-baller bridal suite, which I obvi thought was most appropriate to take a photo with...? 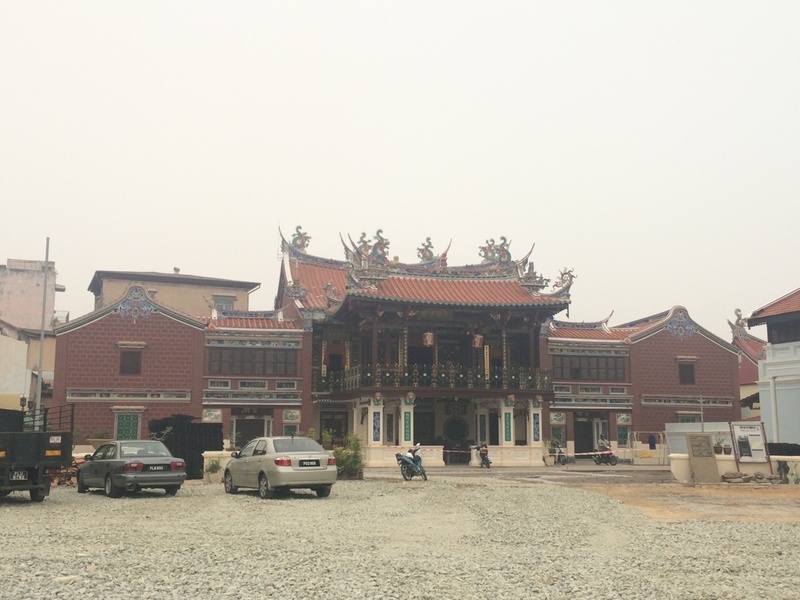 This is the impressive Kongsi Temple - there's also a huge Chinese population/influence in Penang. When they used to arrive, they'd form clans, or tight communities, and all the clans were rivals and would try to one-up the others by building increasingly more impressive temples. Very West-Side Story. 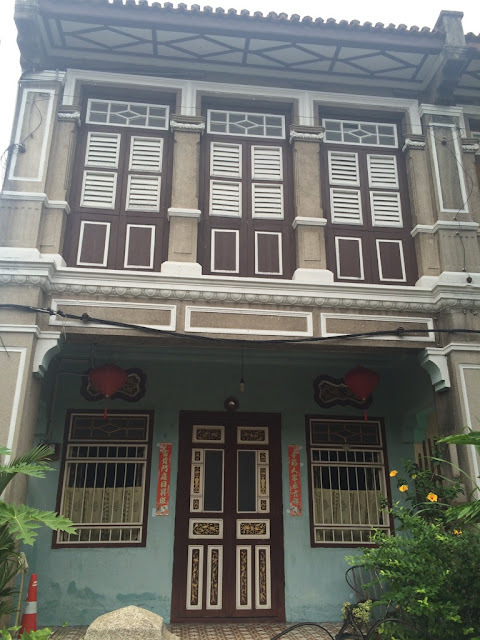 Some of these buildings are old. Very old. I liked this door and was feeling artsy. This is the color everything should be in life. And a mosque! Cultures everywhere. At the beach with Joanna on Day 1, we were approached by another girl (whose name I did not catch; major fail) - she was from Ukraine but had recently left due to the war. She had impulsively moved to China, working as a dancer (a job she randomly found online - she was a professional in Ukraine). She joined us for the rest of the beach day and the night market later. Joanna pointed out how great the moment was - all of us solo female travelers, all from around the world, with totally different stories. But all sharing a meal of street food at a small town in Penang, Malaysia. He's in Malaysia on contract for 8 months, after which he might go to Dubai for work. He hasn't been back to Nepal to see his family in years, which makes his mother cry daily. He tries to strike up conversations sometimes with the museum guests because he hates how alone he is at work - but the worst part is the people who are rude back to him or ignore him. He had some particular stories about Singaporeans being incredibly mean when he tried to talk to them, or complaining to management and getting him in trouble. This makes him sad. 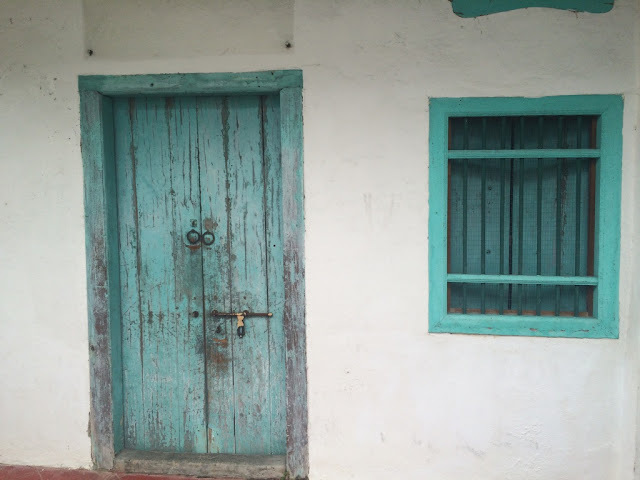 In that span of time, Shiva and I shared and discussed the universality of the unconditional love of mothers, how marriage doesn't solve your problems, and how money doesn't mean anything without good health or the ability to enjoy it. He told me that me being kind to him was such a bright spot in his day, and was a reset in his mood for the rest of the week. He liked believing there were kind people out there. And then he made me friend him on Facebook. I walked away with him profusely thanking me for taking the time to talk to him. It was so great - how this 50-something Nepalese security guard so far from home, and me, from completely different backgrounds, could have such an engaging, great conversation about life and its lessons. Ugh, traveling is the best. Great post! Check plus for the phrase "multiple ethnic contributions." Check plus for solo traveling girls day out. And check plus for your conversation with Shiva (that made me want to go to Nepal). THAT was what made you want to go to Nepal!?! I wish there was a like button for blog posts. Looooved the girls day out but the security guard one did it for me. I feel like I want to go to Penang just to talk to him.